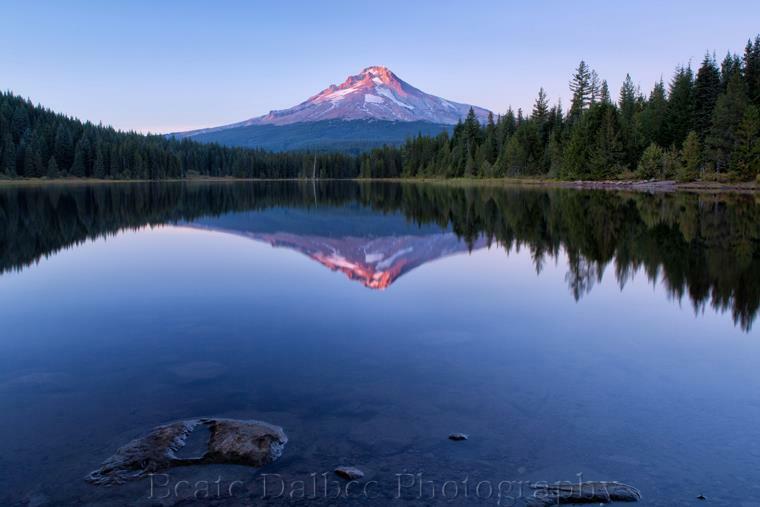 During my trip to the Columbia River Gorge I had hoped to catch a nice sunset reflection of Mt. Hood in Trillium Lake. It seemed like a calm afternoon that particular day, so I headed to the lake in plenty of time for sunset. When I arrived there was a strong breeze, the water was quite choppy and definitely no reflection. But there were some beautiful whispy clouds over the mountain in an otherwise clear sky. So I put my initial plan aside and concentrated on the clouds instead. I had hoped that the clouds would stay for the sunset and turn to a beautiful pink, but it was not meant to be. 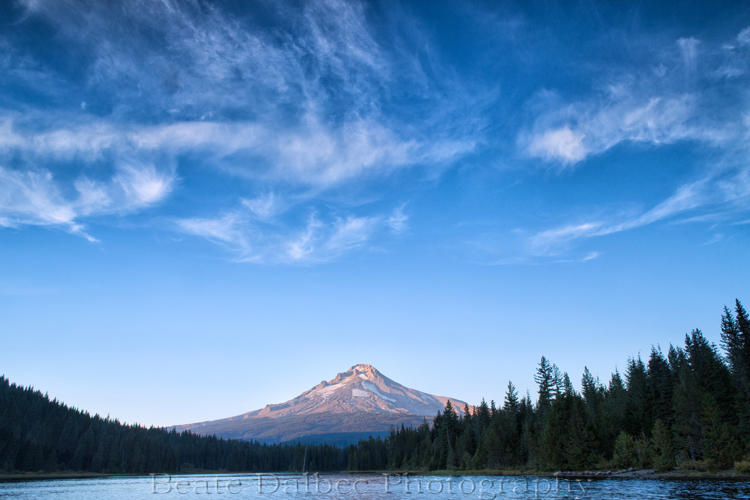 But instead, the wind calmed down and so did the water in Trillium lake. I did get my reflection after all! And with some nice alpenglow on the mountain. Never give up too early!